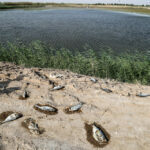 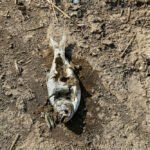 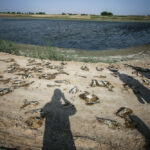 Human Rights Activists News Agency (HRANA) – Low water levels and increasing salt concentration in Karoun river, a major river in southern Iran, has resulted in rising fish fatalities at the Khorramshahr Fish Farming Complex. This complex started its activities as a conglomerate of 55 cooperatives in 1998 and expanded to include 88 cooperatives in 2016. 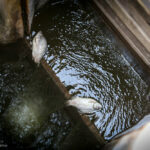 The farm grows a variety of fish such as phytophagous, carp, amur, and bighead, and it has more than 1,000 employees. 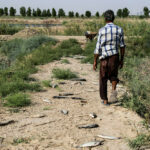 Khorramshahr is a city located in the southern province of Khuzestan, which is rich in natural resources.